Our customers have specific needs, which are very often linked to environmental or security constraints. 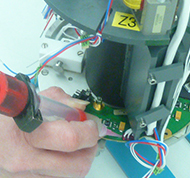 They ask us to coat and/or tropicalize their products or protect them by conformal coating. Matra Electronique takes into account all of our customer’s needs. 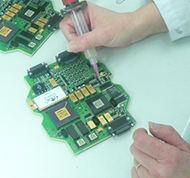 We have expertise in conformal coating and potting processes. Different coating processes are currently used, such as brushing, dipping, spraying and robotic application. All are performed with respect of all environmental regulations. Optimising solutions relies on active technological monitoring. 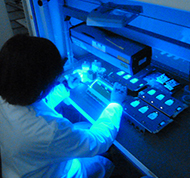 As a Solutions Provider, we are determined to provide you with support in implementing new technologies. Please do not hesitate to contact us.